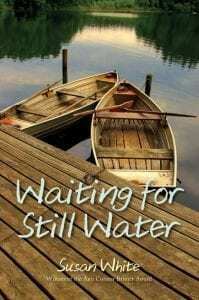 Award-winning New Brunswick author Susan White’s newest young adult/ middle-grader novel is Waiting for Still Water, a book centred around an extended family composed of foster children, past and present, who have been under the care of the redoubtable Amelia Walton, who owns a farm on Walton Lake on the Kingston Peninsula. Over the years, Amelia (a foster child herself) has fostered many children and has just one rule for her charges: “Do your part and spend an hour alone at the lake”. The Walton Lake farm is a haven, a retreat that is full of love, honesty and emotional support for all who arrive at its doorstep. The lake is a symbol of cleansing, particularly for Rachel, who tries to swim in it or just float on it daily. Once at the farm she never wants to leave and begins to make plans to attain that goal. Back at Amelia’s, she reconnects with Zac and Jodie, two former foster children who have married and are living close by. There is also Raymond a musician that lives in Nova Scotia but regularly returns for visits, and Crystal a twin who lost her sister to suicide. Two current residents are the teens Kate, who has brought her horse Midnight to the farm and Whitney, a girl who always has a smile on her face and not a care in the world. Rachel returns to a familiar place that has changed little since she left after graduating from university. However, there are issues aplenty to deal with aside from her own. Poor Jodi has just had her third miscarriage. Kate is aloof and just wants to be with her horse. Amelia is showing early signs of dementia and the province is considering expropriating part of her land to run a road through the peninsula. There are some bright spots: Crystal’s upcoming marriage, which is to take place at the farm, and the arrival of Jasper, a baby boy who has been rejected by both his birth mother and his potential adoptive parents because he has a cleft palate. While there appears to be plenty of emotional storylines occurring (and I haven’t touched on them all), the narrative is never convoluted nor challenging to follow. Ms White deliberately lets the story unfurl, and the backstories of each character are revealed in due time. Rachel appears to have returned at the right moment for her own peace of mind and she also acts as the catalyst for the story, uniting everyone and in the process, assists them to cope as well finding what she came back to Amelia’s for. Indeed, Waiting for Still Water comes full circle and as such is a satisfying and captivating read for any age, much like her 2015 book The Memory Chair was. Sue White was born in New Brunswick and moved from one New Brunswick city to another. As a teenager, her family moved to the Kingston Peninsula and she only left long enough to earn her BA and BEd at St. Thomas University in Fredericton. Settling on the peninsula, she and her husband raised four children and ran a small farm while she taught elementary school. Since retiring she is grateful to now have the time to work on her writing and the freedom to regularly visit her new granddaughter in Alberta. James M. Fisher lives in Miramichi. 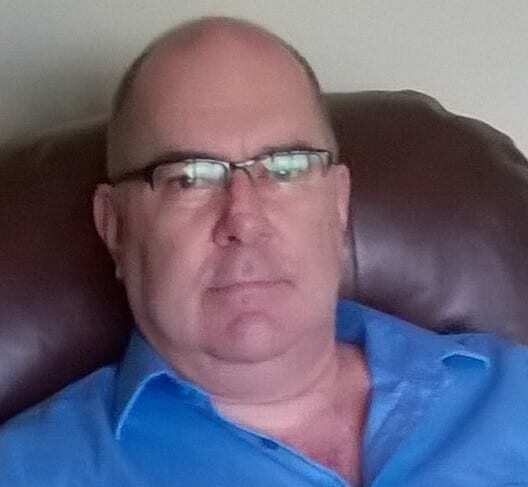 James is an ardent reader whose aim is to highlight New Brunswick authors and publishers, as well as cover subjects of interest to New Brunswickers in particular and Maritimers in general. For more visit his website or like his page on Facebook. The post Book Review: “Waiting for Still Water” by Susan White appeared first on Giver on the River. This is a syndicated post. You can view the original post here: Book Review: “Waiting for Still Water” by Susan White.